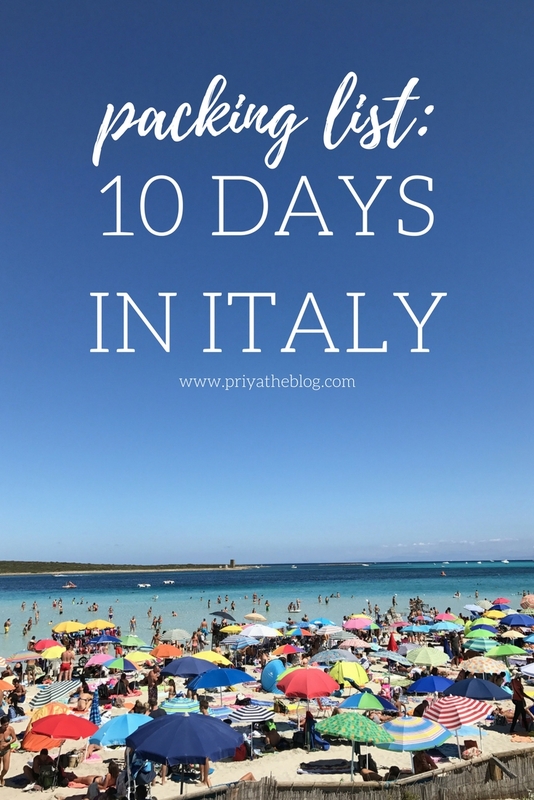 Packing List: 10 Days in Italy | Priya the Blog | life & style in Nashville & beyond! It's packing list time! I haven't done one of these since my trip to Europe last year because honestly they are a lot of freaking work BUT extremely helpful to look back on. Packing is a stressful part of traveling that I don't love, and it's silly to think that it can actually affect your trip. I had the mantra "Stuff ruins trips" (via Man Repeller) in mind this time around, and I think I did a pretty decent job! This post is going to be long so let's just go for it! Full trip re-cap right here! The List: I've linked to exact when possible or similar otherwise. + My color palette, as you can probably guess, was white, blue/denim, and pink. Sticking to a palette for packing was something I ignored for years, but I promise it is so helpful. + Another thing you might notice is that I stuck to three in every category. 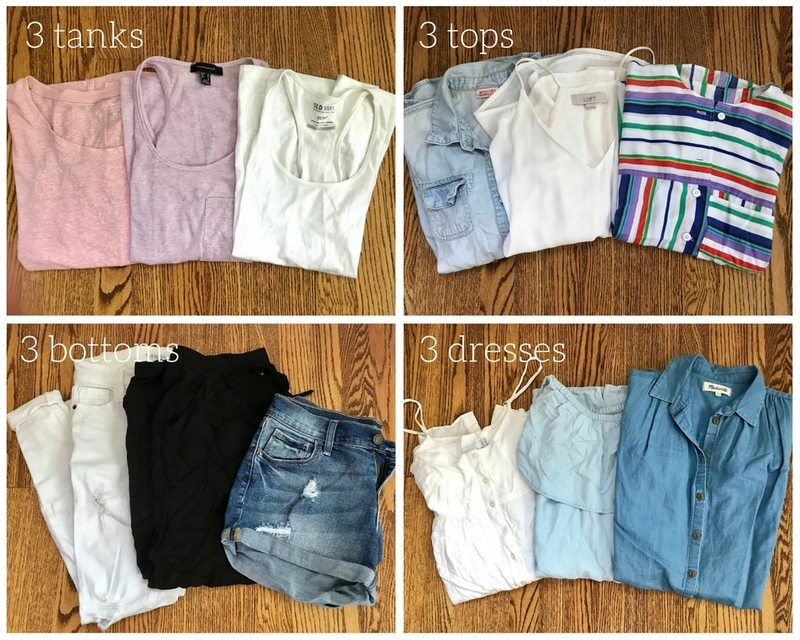 I find it so helpful to pack like this! Pick a number, based on the duration of your trip (not an exact science), and stick to it. + I knowingly packed one more swimsuit than I really needed, but the novelty suits were like a point of the trip! Otherwise, I was pleased that my suits were mix & max. I never wore my black hi-waisted bottoms (and forgot to include them here!) but that was mostly for tan line reasons. + My sister told me I didn't need many nicer options, and I never had the opportunity to wear the romper. + The denim jacket was mostly for chilly plane rides, but it also worked for when the sun went down! + Regardless of if I'm training for something or planning to workout, I don't travel without activewear of some kind (because I can't sit still.) My sister is training for a marathon so I ran with her one day, otherwise, we went on several walks/a hike-ish but I didn't need the tights. + Shoes were the thing I would have loved to have more of, but really didn't need. But I did get sick of wearing these three pairs over and over again. 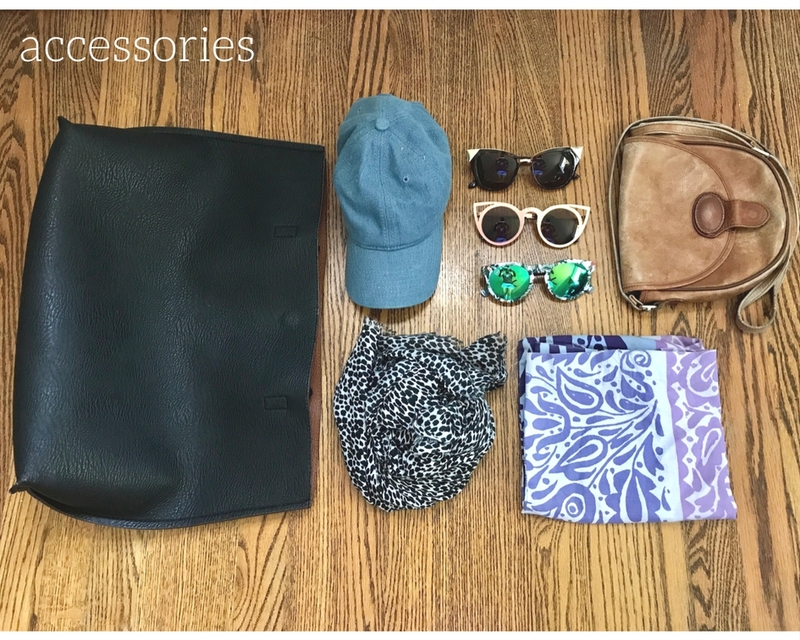 + I never travel without a scarf! This one is oversized and was perfect for wrapping up in on the plane. The Outfits: Thanks to my sister for taking SO MANY pictures of me. Jeez. + I feel like you can get a really good vibe of the whole trip from this nifty little collage. 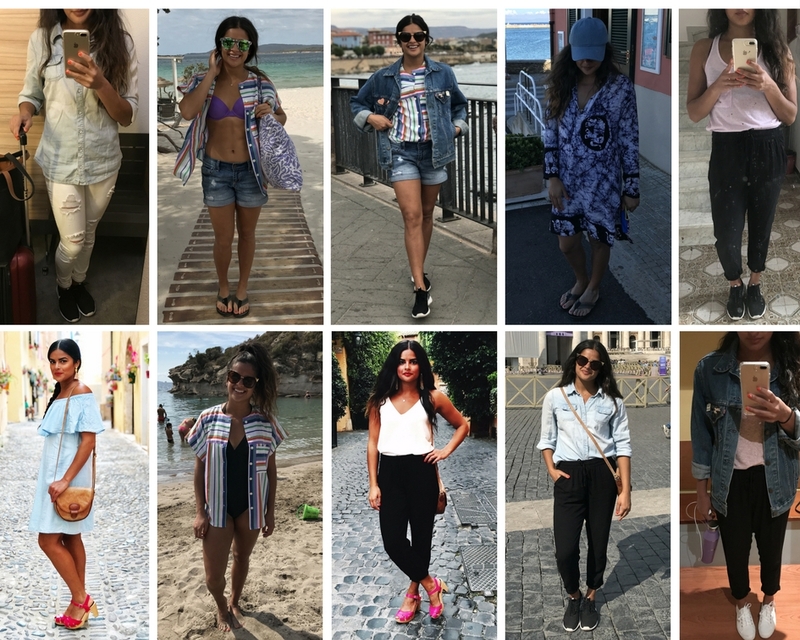 I did wear multiple outfits in one day but it was mostly transitioning; beach to casual dinner, day to night in Rome, etc. The Verdict: The three little assessment questions I like to ask myself. + Did I like what I wore? | I did! It all felt v Italian vacation-y but still v Pri. + Did I feel comfortable/prepared? | Comfy, YES & maybe just slightly over-prepared, that's my only edit. + Did "stuff ruin my trip"? | Nope. AND I had room to bring back souvenirs and new clothes. Success! OK. I would love to hear your thoughts! Did I look cool, what did I forget, what should I have left out, what do you never leave home without? And if you made it to the end, THANKS for reading! All of my packing lists right here. 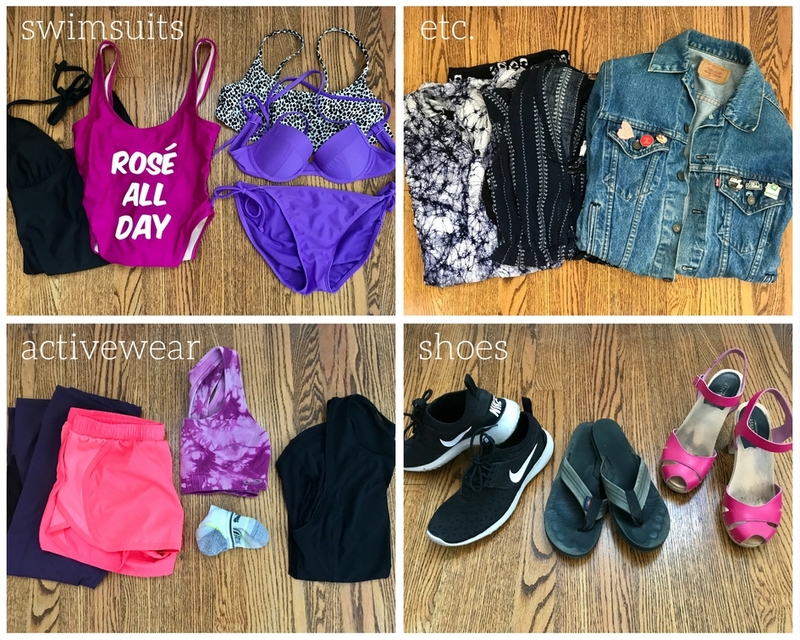 Also check out my packing tips!